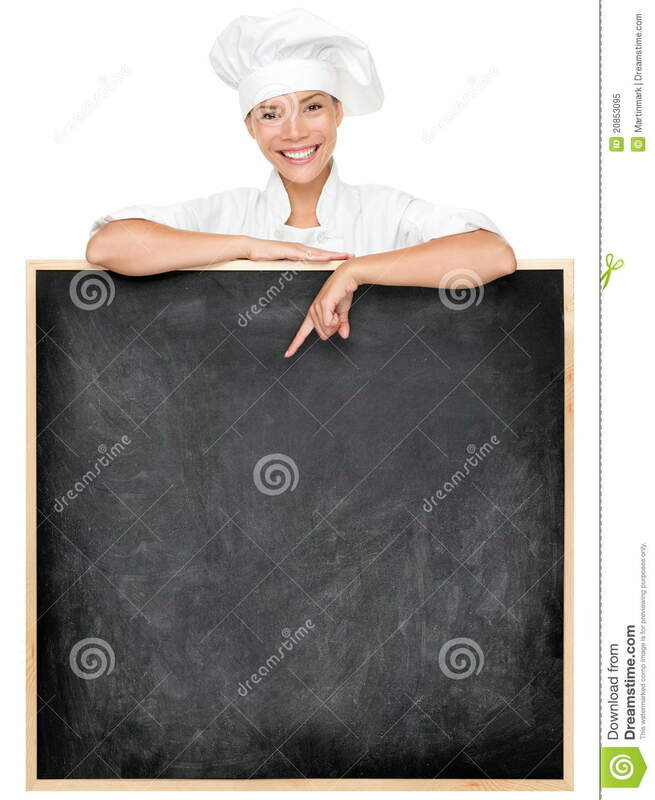 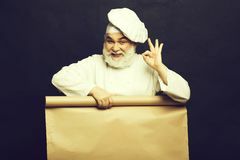 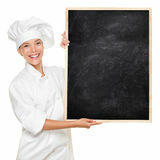 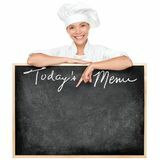 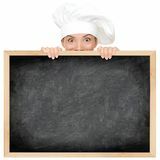 Chef showing menu sign blackboard smiling happy. 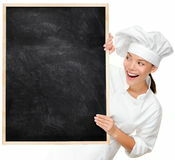 Empty menu chalkboard with copy space for text. 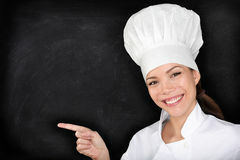 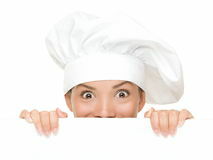 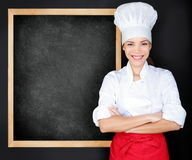 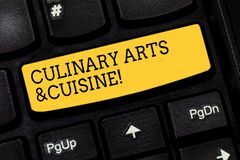 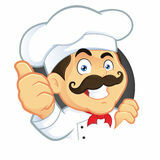 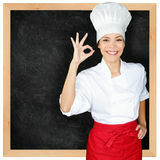 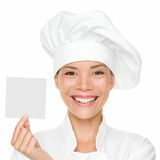 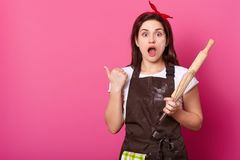 Female chef, baker or cook isolated on white background. 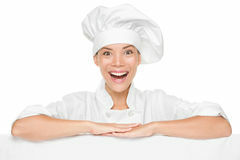 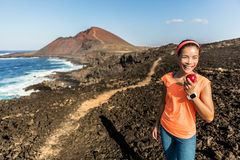 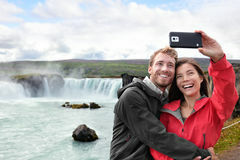 Mixed race Asian Caucasian female model.